Nearly 30 years after towering turbines began cropping up in European waters, the United States is finally producing its first drops of offshore wind power. As of this week, Rhode Island’s Block Island Wind Farm is officially online and producing carbon-free juice for the New England grid. 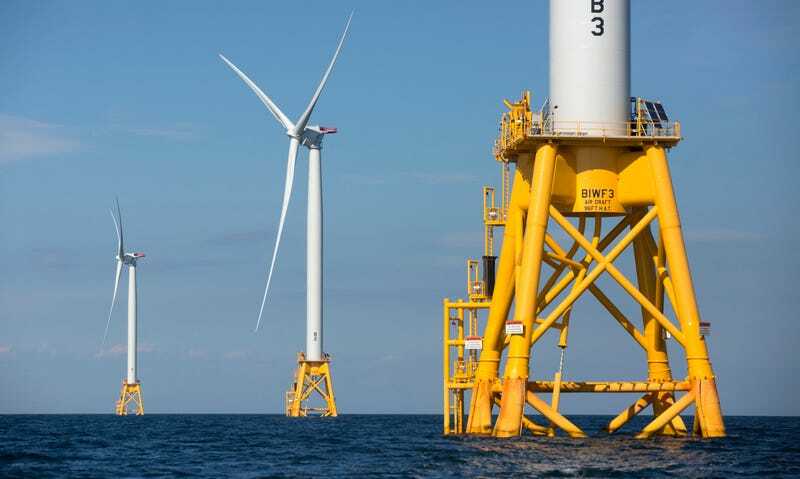 Offshore wind company Deepwater Wind announced on Monday that the Block Island Wind Farm—five turbines located a few miles off the coast of Block Island—has completed its commissioning and testing phases and commenced commercial operations. The wind farm is rated to produce 30 megawatts of power at peak capacity, which is enough to light up 17,000 homes. Electricity generated by the turbines is routed via submarine cables to the 1,000-strong community of Block Island, and back into Rhode Island’s power grid. As the first offshore wind farm in US waters, the hope is that this pilot project will charge up an industry—one that experts say is capable of supplying all the electrical needs of coastal states from Massachusetts to North Carolina, with none of the climate-warming greenhouse gas emissions of natural gas or coal. “We’re more confident than ever that this is just the start of a new U.S. renewable energy industry that will put thousands of Americans to work and power communities up and down the East Coast for decades to come,” Deepwater Wind CEO Jeffrey Grybowski said in a statement. But Grybowski’s sunny outlook ignores the fact that it took years of state and federal policy-making, environmental impact assessments and town hall meetings for the Block Island Wind Farm to come to fruition—and not everybody’s happy that it did. Some residents of Block Island see the wind farm as a $300 million boondoggle, one that’s keeping electricity prices artificially high while spoiling their otherwise pristine view of the sea. 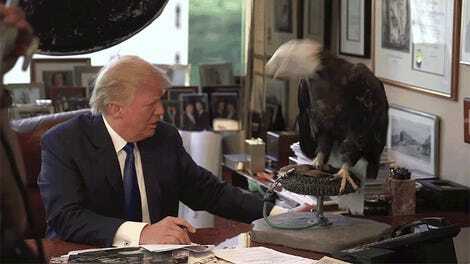 It’s possible that Trump’s administration won’t wind up being as hostile to the nascent offshore wind industry as his Twitter history would suggest. But now more than ever, it seems, that industry’s future is going to depend on how the winds blow at Block Island.